We were disturbed and disappointed to read Stephen Harper's recent comments erroneously claiming that Justin Trudeau has a "deep distrust" of the Canadian military. In my experience, actions speak louder than words, and while Mr. Harper has always been quick to stand with our soldiers for photo ops, he has failed to have their backs when it counts. The fact is that Mr. Harper's government has made significant promises on new equipment for our troops, but has consistently failed to deliver. In addition to axing nearly $5 billion from the Department of National Defence's budget since 2012, they have, since 2006, left nearly $6 billion in DND's capital budget unspent -- money that was allocated for new equipment like search and rescue aircraft, helicopters, trucks, ships, UAVs, the list goes on and on. Documents recently tabled in Parliament have revealed that, save for a few exceptions, this government has achieved almost none of the procurement goals contained in their 2008 Canada First Defence Strategy. But Mr. Harper's failure to deliver on promised -- and desperately needed -- equipment is just the tip of the iceberg. It is Mr. Harper's treatment of those who wear the uniform that reveals what he really thinks of them. This is the Prime Minister who praises reservist members of the Forces, but who has decreased the budget dedicated to reservist pay, and reduced their training budget to pay for things like income splitting -- a $2000 tax break for the wealthiest few. Furthermore, our reserve units are now under strength due in part to this government's closure of recruiting centers. This is the Prime Minister who eliminated danger pay for our soldiers in Afghanistan, depriving military of pay for serving in incredibly dangerous places, risking life and limb in service to their country. It was only when this cut went public that the Prime Minister felt sufficiently embarrassed to reverse his decision. When a Canadian Forces soldier took her own life, and her parents decided they wouldn't participate in the Board of Inquiry into her death, Mr. Harper's government not only sent them a legal summons to force them to appear, it also sent them the bill for the cost of that summons. And the shoddy treatment Mr. Harper displays towards our Canadian Forces members doesn't end with when they leave active duty. In fact, they continue to be treated terribly as veterans. Mr. Harper has closed nine Veterans Affairs offices that help retired Canadian Forces members access the services to which they need. 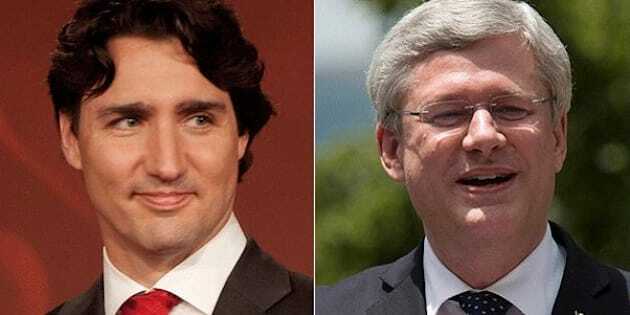 Since becoming Prime Minister, he has allowed Veterans Affairs Canada to lapse $1.13 billion. That money was authorized by Parliament to be spent on our veterans, but was instead put towards reducing the deficit. Just this week, we learned that Mr. Harper's government has spent $700,000 of public funds fighting those veterans in court, to prevent them from receiving the benefits they have justly earned while serving their country. And last November, the Auditor General found that Mr. Harper's government is, "not adequately facilitating timely access to mental health services," for our veterans. While Mr. Harper is eager to use the Canadian Forces and our veterans when he feels it is politically expedient to do so, the evidence is clear: when it comes time to put his money where his rhetoric is, he cannot be counted on to deliver. We have a sacred obligation to our soldiers -- past and present -- which this Prime Minister has clearly rejected. By contrast, Mr. Trudeau is firmly committed to fulfilling our nation's obligation to our veterans, and to investing in the equipment and training that our troops need to get the job done. That is one of the many reasons why 18 veterans of the Canadian Forces and the RCMP are currently seeking to become Liberal MPs across this country, on top of those already serving in the Liberal caucus.